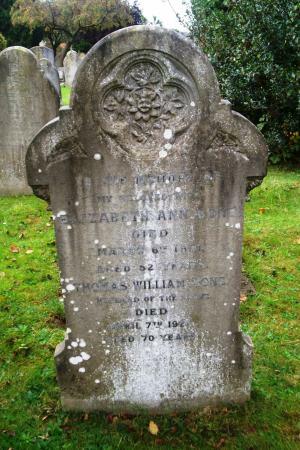 Exchanging pleasantries at the start of a holiday can result in more history about people who were born in old Rothley so, quite by chance, I found out about Elizabeth Anne Westbury when I met her Great Grandson, Colin Hucker, whilst enjoying a few days in Swansea. Colin very kindly sent me pieces of family history and his permission to publish. With so many people now tracing their roots our village websites can be a very productive source of information and history. 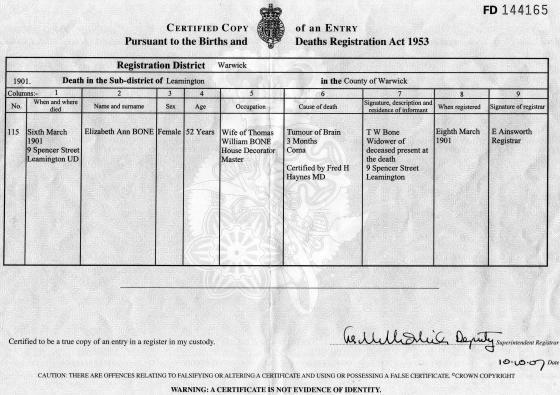 Elizabeth's Birth Certificate spells her second name as 'Anne' but her Marriage and Death Certificate show 'Ann'. 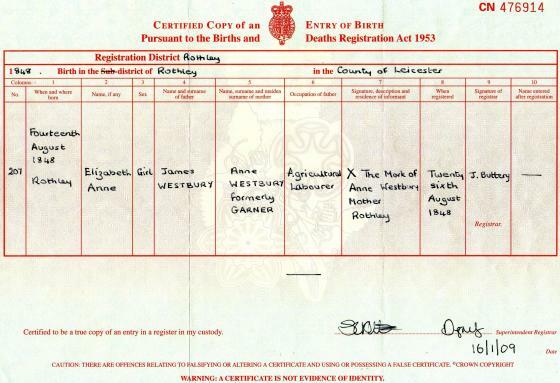 Elizabeth Anne Westbury was born in Town Green on the 14th August 1848 to parents James and Anne Westbury. In 1851 aged 2 she had 4 sisters, Emma Aged 8, Sophia aged 6, Sarah aged 4 and a baby sister Caroline born in 1851. Her father was an agricultural labourer in Rothley. As Elizabeth's father was a farm worker she would have spent her early years in the village. The family would have lived a village life which would either have been very poor or surviving well on fresh produce from the farm depending on circumstances. By the time Elizabeth was 13 she had been sent off as a servant, like many young girls of her age, to help supplement the family income. 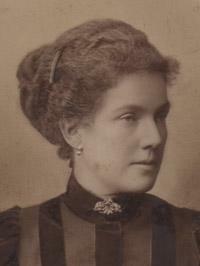 In 1871, at the age of 22, Elizabeth was a servant to Mr. Charles Pratt, aged 46, living at 10, London Road, Leicester. Mr. Pratt owned a shop and was a Dealer in Fine Art and a Picture Dealer. When Mr. Pratt moved to Leamington Spa and opened a shop at 5 Spencer Street, Leamington Priors, Elizabeth moved with him. The shop sold old china, glass and earthenware and Charles Pratt remained a Picture Dealer. In 1875/6 they lived above the shop at 5 Spencer Street but by 1878 they were living at 9 Spencer Street running an Antique shop. 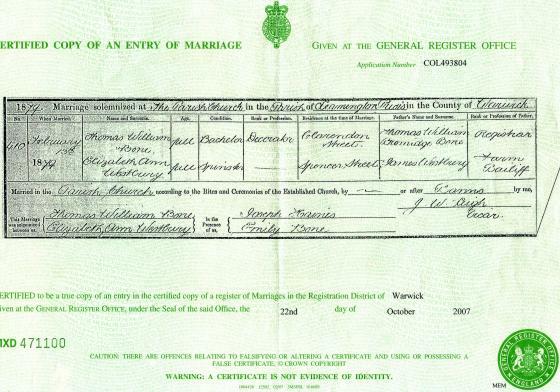 Elizabeth met Thomas William Bone, a Picture Restorer, through his work and they were married on the 13th February 1879 in the Parish Church at Leamington. Thomas and his brother, John Henry, were living at 68 Clarendon Street prior to his marriage. 9 Spencer Street, owned by William Bone and leased to Wilkinsons. 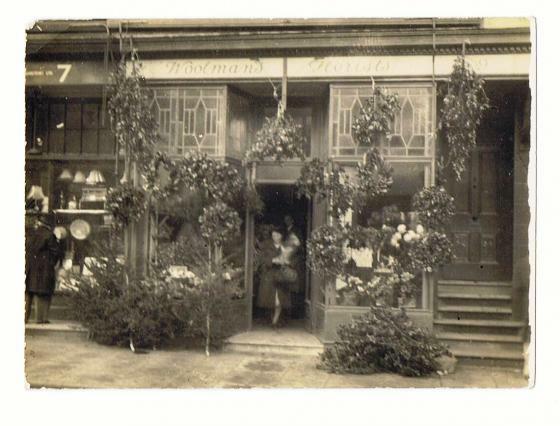 After their marriage Thomas moved into 9 Spencer Street and continued running his business with his brother John Henry whilst Elizabeth continued to help with the running of the Antiques shop. Later, they took over the business from Charles Pratt who died around 1880. In 1881, in the census, Thomas and Elizabeth were both living at 9 Spencer Street and were both Dealers in Fine Art and their shop was called The Old Curiosity Shop. CAPTURE OF THE SUPPOSED THIEF. The Birmingham Police, on Sunday, captured a noted thief and gaol bird, who is believed to be the person who, on the evening of Saturday, January 26th, smashed the window at Mr. Bone's "Old Curiosity Shop" in Spencer street, and carried off a tray containing a complete set of Jubilee coins, from three-penny up to £5 pieces, together with upwards of 20 Jubilee three-penny pieces, three old mourning rings, four gold dress rings, set with stones, two old-fashioned brooches, two silver fruit knives, old daggers, four pair of sugar tongs, two small silver buckles, and other silver articles. It will be remembered that, about half-past five o'clock on the evening in question, a fire broke out at the Leamington Collegiate School, and Mr. Bone, with a crowd of people, visited the scene of the conflagration. After his departure, Mrs. Bone attended upon a customer, and then went to the apartment beneath the shop to prepare tea. While downstairs, shortly before six o'clock, she heard a fearful crash, and hastily proceeding to the shop, she found that a very large sheet of ¾ in plate glass in the shop window, valued at £5, had been broken by a blue brick, covered with brown paper, having been hurled through it, and a small tray containing valuables abstracted. The only person near the shop at the time of the theft was a little girl, who was standing near the bath Hotel bar, and who stated that she saw a man throw something at Mr. Bone's window, put his hand into the aperture made by the smash, and then run in the direction of the Avenue station. sentences and statements. Enquiry showed that the writing was that of a dumb man who frequented the Hope Tavern, at the corner of Court Street, and is obliged to answer all questions by the pen or pencil. He used the piece of brown paper to question for this purpose at the tavern on Friday night, and when he had done with it, he threw it underneath the grate, in which no fire was burning, from whence it is clear the thief took it. The police made every effort to track the perpetrator of the outrage, but without effect, until Sunday morning, when a man who was subsequently identified by several persons from Leamington, was apprehended on a charge of committing a daring jewellery robbery at Birmingham. It appears that about a quarter past six, just after the police officers had gone off night duty, Mr. Davis, curios dealer, of 3 Livery Street, was awakened by the smashing of glass. He immediately jumped out of bed, seized a loaded revolver, and opening the window fired several shots in the air with the view of attracting attention. Upon going downstairs he found that a hole had been made in one of the shutters with a centre-bit, and by means of a "pad" saw several inches of the woodwork had been cut away. The plate-glass window was smashed, probably by a stone, and the thieves had stolen £50 or £60 worth of gold rings. A communication was sent to the members of the detective force, and detective-Superintendent Black with several officers at once pursued enquiries. After enquiries had been made for four or five hours, two men were arrested on suspicion. The elder gave the name of James Jones and turned out to be an ex-convict and a burglar of some note. When, however, he was reminded of several little matters on which he had been brought in contact with the Birmingham police in years past he admitted that his correct name was James Kenny. He is about 50 years of age and about 5 ft. 5in in height and has lately been lodging in Ludgate Hill. Detective –Superintendent Black identified him as a daring burglar who was some 18 years ago sent to penal servitude for seven years, and who was alleged to have been connected with the robbery from Mr. Mole's, jeweller, of Bull Street, which took place in the middle of the evening, when the streets were crowded with people. On his person were found, amongst other things, a Jubilee two-pound piece, and this fact has led the police to believe that he was the person who committed the robbery at Mr. Bone's establishment. When charged with that offence he made no answer. The men were brought up at the Birmingham Police Court on Monday, before Mr. T. M. Colmore (stipendiary) when Detective-Superintendent Black stated that the prisoner would be charged on suspicion with being concerned in a jewellery robbery at Leamington about a month ago. The robbery was committed in a manner similar to that followed at Messrs Davis's. Prisoner was remanded till Thursday, for the attendance of witnesses. The Leamington police were communicated with on Sunday, and, after the proceedings at the Police Court, Detective-Sergeant Baum went to Birmingham, with three persons, who saw the thief shortly before and directly after the robbery at Mr. Bone's. Kenny was placed with a number of other prisoners at Moor Street, and the witnesses were called into the yard and confronted with the men. Mrs Bone, who caught sight of the man when in the act of robbing the shop, picked Kenny out as the thief, and another witness identified him as the man who entered his shop shortly before Mr. Bone's window was smashed, and made an enquiry respecting the whereabouts of the dealer in curios. Mr john Wilcox, hatter, carrying on business opposite Mr. Bone's shop, who chased the prisoner after the robbery, was unable to identify the man, but this can easily be explained, as he was only able to view the thief whilst running from the shop. On Thursday, Kenny was again brought up before the Birmingham Stipendiary, and on the application of detective-Superintendent Black he was discharged, and re-arrested by Detective-sergeant Baum. He was conveyed to Leamington the same afternoon, and yesterday (Friday) morning, he was brought up at the Town Hall before the Mayor, Alderman Flavel, Alderman Wackrill, Dr. Marriott, and Councillor Bright, when he gave the address of 9 court, 5 house, Ludgate-hill, Birmingham. He was charged with stealing from Mr. Bone's shop four gold rings, three mourning rings, four silver sugar tongs, two fruit knives, one gold pencil case, two gold brooches, two small silver buckles, a set of Jubilee coins, and a quantity of threepenny pieces, of the total value of £25, on the 19th January. Mr. J. F. Brabner (the Chief Constable), said he proposed to call one witness, then ask for a remand until Monday, when the prisoner, as he had informed him, would be represented by Mr. Benbow Habbert, a solicitor from Birmingham. Elizabeth Ann Bone was then called. She stated that she was the wife of Thomas William Bone, who kept a curiosity and antique china and jewellery shop at 9 Spencer Street. About 10 minutes to six o'clock on the evening of Saturday, January19th, she was in the kitchen preparing tea, and while there, she heard a tremendous crash. She ran up into the shop, and found that the large plate-glass window had been smashed. She at once ran out of the shop and up the road, but could not see the perpetrator of the outrage. She returned to the shop, and found that a tray containing more than a set of Jubilee coins, some jewellery, and antique silver, which was in the window, had been stolen. Among the coins were a £5 piece, a £2 piece, a sovereign, and all the other coins. Shortly after a woman named Mrs Glover brought the £5 piece produced, and said that she had picked it up in the street. When she examined the window she found that a quantity of valuable china had been broken, and from among the debris picked up a blue brick, wrapped in paper. On Monday morning last, she went to the Moor-street Police Station, Birmingham, where she saw 12 men standing in a row, and she picked out the prisoner as the person she saw outside her shop several times on the day of the smashing and the robbery. Prisoner said that he had no questions to ask the witness at present. The Bench said that after the evidence adduced, and the fact that a remand was asked for on both sides, the case would be adjourned until Monday. The police have been able to procure witnesses who saw the prisoner pick up the piece of paper in which the brick was wrapped, in the Hope Tavern, and also were present when he threw it through Mr. Bone's window. Note: The search is on for the verdict! THE VERDICT HAS BEEN FOUND! 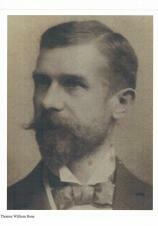 James Kenny, aged 50, was committed for trial and sentenced in 1889 to 15 months hard labour in Warwick Prison. At his trial it said that he was a gun-maker. Many other offences came to light with a list of convictions between 1863 and 1888 including 7 years penal servitude in 1873, 5 months hard labour for stealing guns and convictions for 'felonious stealing'. It is also recorded that in 1872 he was acquitted of stealing! Elizabeth died aged 52 years after being in a coma for three months. It was said that during her work with old furniture a wardrobe fell on her which resulted in her death.